How about the emotion and intensity of a live performance in the comfort of your own home? 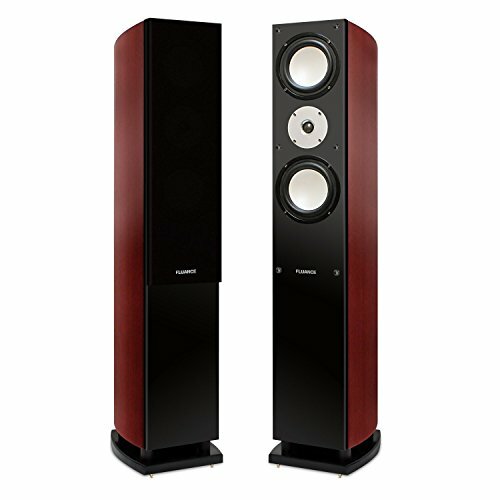 The Fluance XL7F High Performance Three-way Floorstanding Loudspeakers are engineered with premium components that skillfully cater to your audio needs. From the highest symphonic crescendos to the deepest smoothest jazz to a movie's spine-chilling sound effects, once you experience our stunning sound we think it will be the beginning of a very special relationship. These aren't just speakers. They're a lifestyle. The soundtrack of your life is ambitious. So are the Fluance XL7F Floorstanding Loudspeakers. They provide superior performance at every volume level with outstanding precision and clarity, allowing you to soak up all the dramatic impact your music and movies can deliver. Every exhilarating cymbal clash and every spectacular trumpet note will soar high and bright with the XL7F Loudspeakers. Our superior tweeters produce high frequencies with captivating clarity at even the highest volume levels. Controlled, smooth and never too aggressive, your home theater system will deliver the high notes perfectly. An essential component of any high-performing speaker system is the midrange driver. It's responsible for the sounds that are most easily recognized by the human ear, making any discrepancies easily noticed. The XL7F Loudspeakers deliver faithful reproduction. From the lowest, sexiest bass beats to the wildest explosions, you will feel every rumble. The Fluance XL7F Loudspeaker's down-firing subwoofer has been carefully designed to achieve maximum low-frequency effect for a heart-pounding bass performance.